How many times have you opened your inbox and sent a bunch of offers from companies straight to your trash folder without even reading them? What about the offers you’ve sent to your customers? Yup, straight to the trash folder. And, how about all those newspaper ads that cost a fortune and produce little or no results? It might time to consider Postcard Marketing, a strategy that has been around for decades but has seemingly lost its appeal in our tech driven world. Instead of sending emails to clients who never open them why not send postcards to a targeted geographic? Or demographic depending on your type of business. 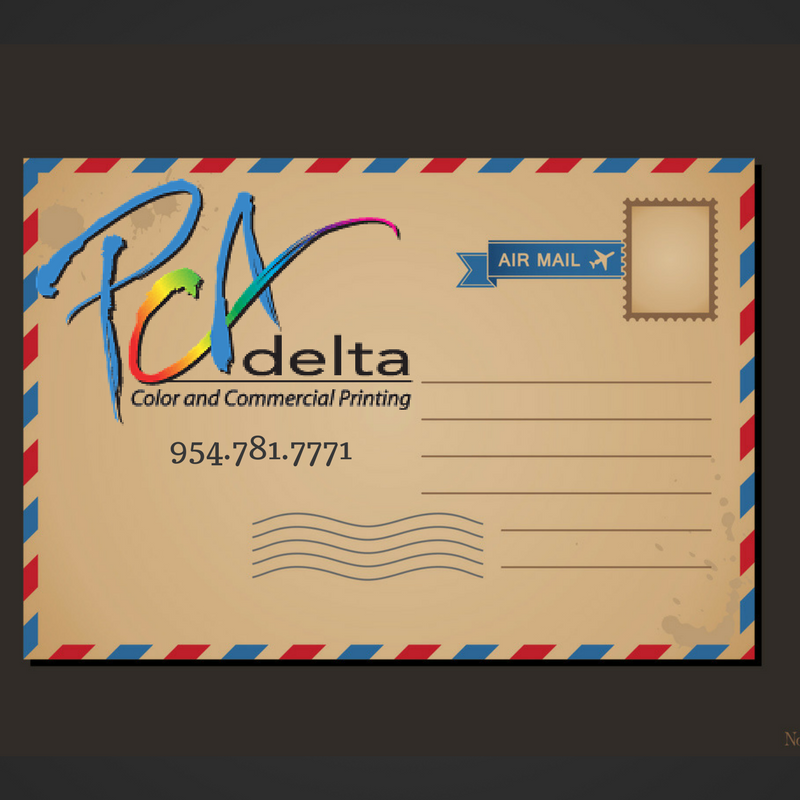 Postcards are personal, and delivered right to your customer’s home, creating a familiar relationship. - Its affordable for small businesses and with our current special offer (link to offer) this month, it’s a steal. - Postcards give you an edge over your competitors because the offers are sent directly to your customers and not advertised publicly for your competitors to see. - This is a great way to test new offers; by selecting a small mailing list you can gauge the response and know whether to increase this to a larger group of customers. - State clearly the main message of your card eg. OFFER 20% OFF! The customer’s eyes will immediately go to the largest text on your postcard so make it good so they read the rest. - Use appropriate images to go with your offer, the more colorful the better. Not good with colors? Our professionals can advise you on great combos that pop on paper. - Include a call to action that makes your offer time sensitive, alerting your customers that time is limited to act on your offer. - It is important to include your contact information as well as a return address so the postal services can inform you when a customer’s address is no longer active.